Norwegian audience development is a national membership organization whose purpose is to promote greater knowledge of the audience and increased support for members' cultural offerings. "We are established with a fundamental belief in the arts as essential to our identity, self-understanding and as a driving force for social development. Art and culture must be available to all so that we get a more open, tolerant and wiser society." 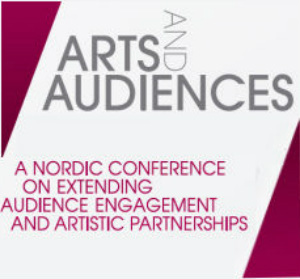 The establishment of the Norwegian audience development springs from an expressed need for cooperation between cultural operators across genres when it comes to the knowledge of the public and especially the need to reach new audiences. Connect with us through your favourite channel. Bergen municipality initiated the Norwegian audience development. The organization was formally established on 30 March 2009. Organization is an independent membership organization. The creation is part of the municipality of Bergen targeted investment in culture. The background for this work lies partly in the dialogue established between politicians and artists already in the mid 90's, when artists in Bergen coalesce behind a common document called "Artists 'geometry'. Where artists presented a joint strategy for the municipality's cultural endeavor in the future. Here was one clear on the need for cooperation and coordination. Experiences from the European Capital of Culture year in Bergen in 2000 also showed the value of gathering knowledge, resources and conduct joint efforts to reach out to the public. Ingrid E. Handeland took over as CEO in October 2012. Norwegian audience development is a national membership organization with its roots in Bergen. Norwegian audience development director. Ingrid Elisabeth Handeland comes from the post of information officer at the National Theatre. She has for many years worked to arouse public interest in artistic activity. This spring, she decided to take interest in public work and applied for the position of Director of NPU. In the tension between general information campaigns, promotion and working towards new audience, there are both divisions and challenges. In this text tells Handeland on how she perceives public works, how she experiences the status of the public field, and how she will work in the NPU. A multitude of audience development projects from all the Nordic countries will be presented in panels moderated by Chris Torch, senior associate and founder of Intercult Sweden. Key note speakers like Jon Deak from the New York Philharmonics and Kathrine Winkelhorn from the University of Malmö will share their insight. As the conference takes place during the Helsinki Festival, parts of the on-going artistic program will be included in the conference. In fact, we will be invaded by hundreds of second graders on their way to a participatory musical adventure where they explore the relationship between picture and sound.